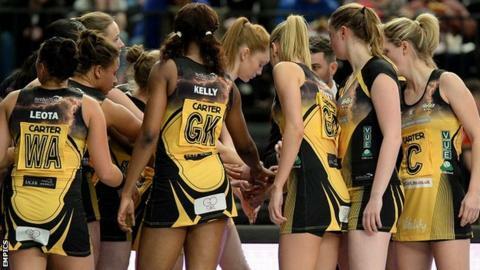 Manchester Thunder maintained their three-point lead at the top of the Superleague by beating a competitive Team Bath. Having led 41-25 at half-time, Thunder eventually claimed a 69-51 victory. Hertfordshire Mavericks kept the pressure on leaders Thunder with an impressive 64-40 win against second-bottom Team Northumbria. Meanwhile, Yorkshire Jets, who are at the foot of the table, were beaten 56-39 by Surrey Storm.